I purchased a couple pears to make a pear tart, but the pears over-ripened before I had a chance to make my tart. In the past, they would have been tossed out, but I peeled one and the inside was still perfect. I chopped them up, added a little of this, a little of that . 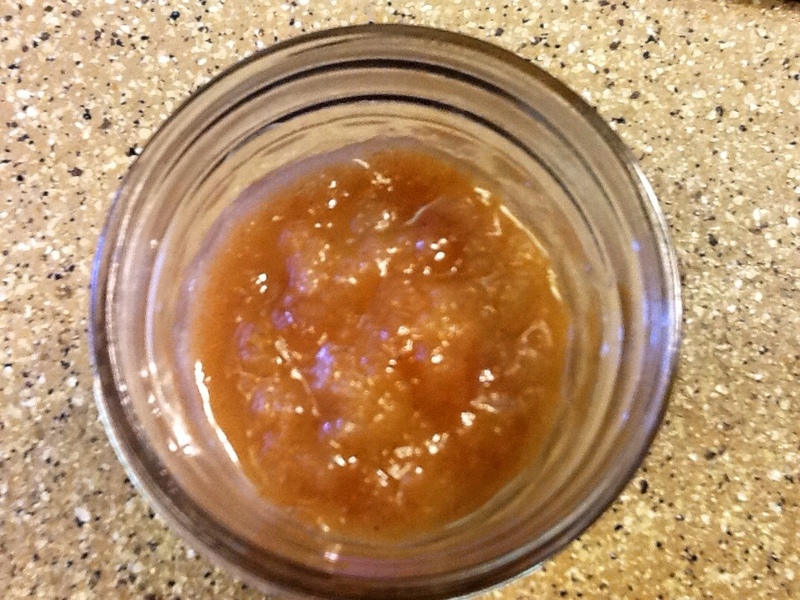 . . simmered awhile, and I have, not quite a cup, of very tasty Pear Butter! 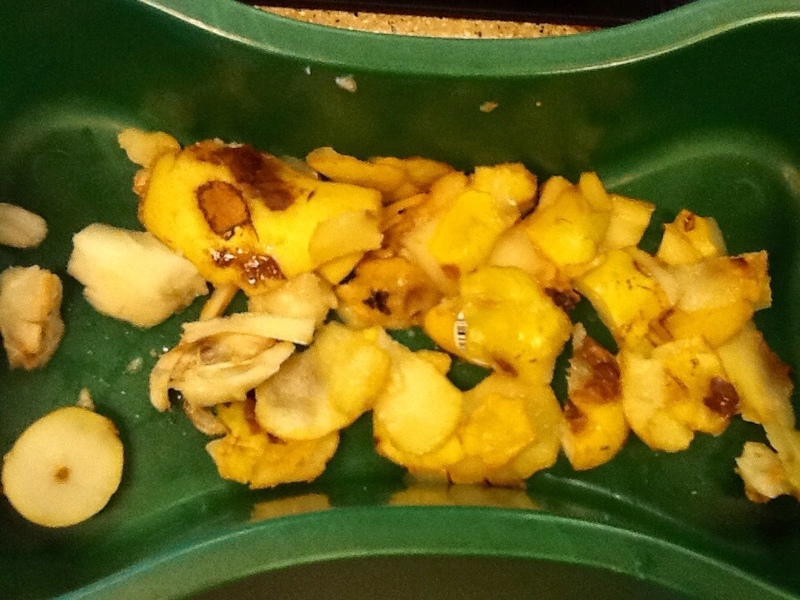 Peel and core pears, leaving peelings and cores for the chickens. 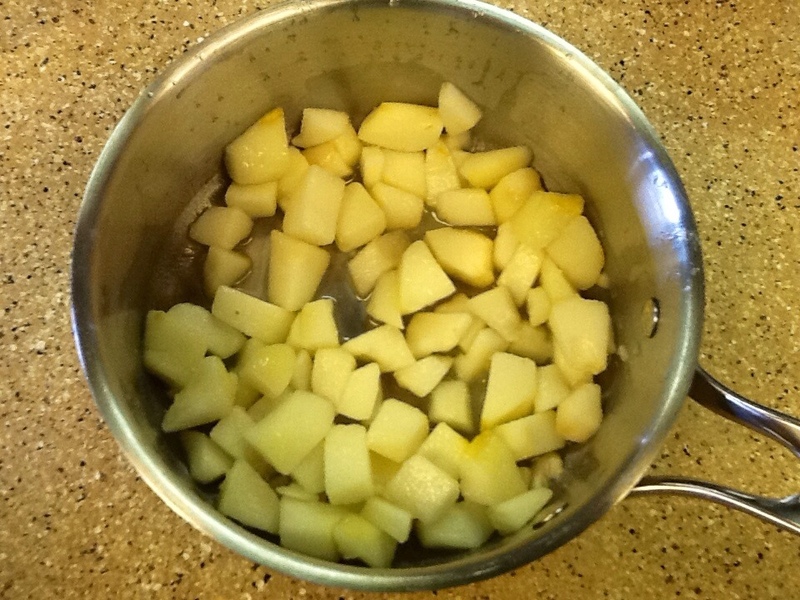 Chop pears, add juice from 1 lemon and 1 tablespoon of water. 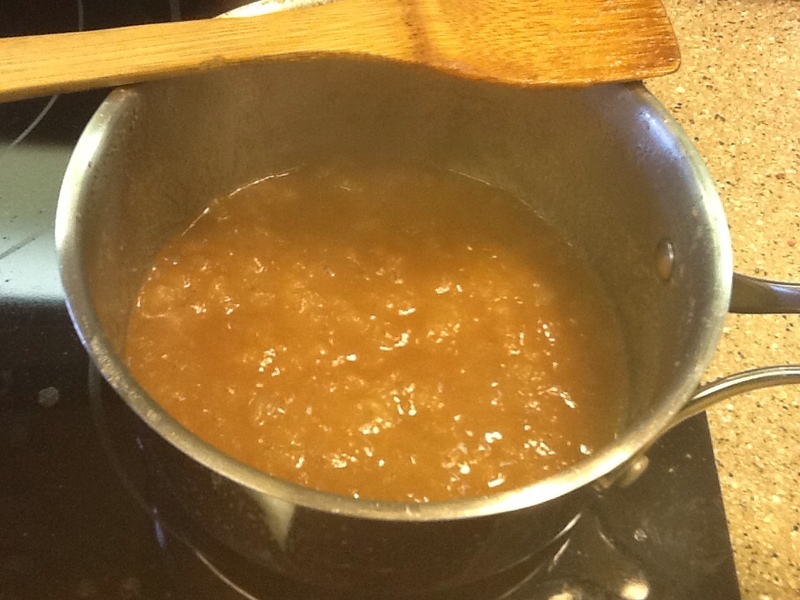 Add 1/2 teaspoon cinnamon, 1/8 teaspoon ground ginger, 2 tablespoons brown sugar, 1 pinch of salt, 2 tablespoons butter and stir. 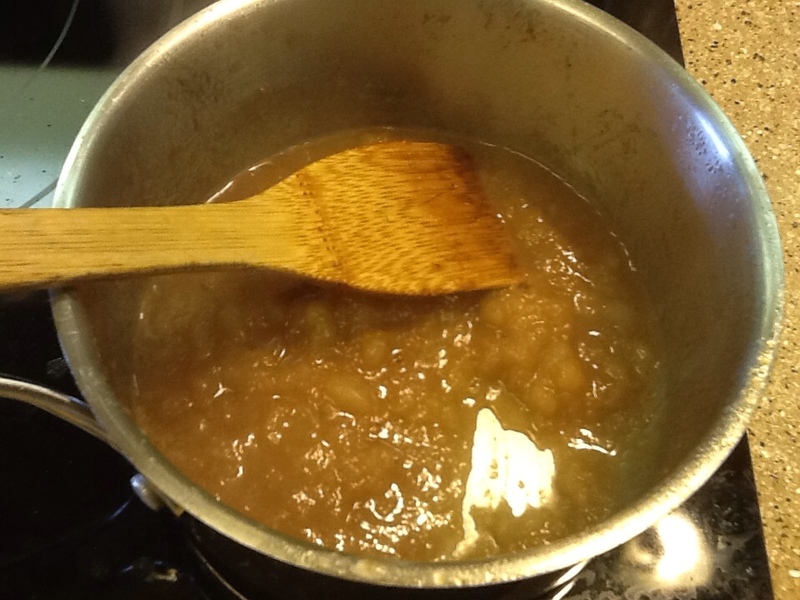 Simmer pear mixture on low for approximately 15 minutes, stirring the last 5 minutes to keep pears from scorching. 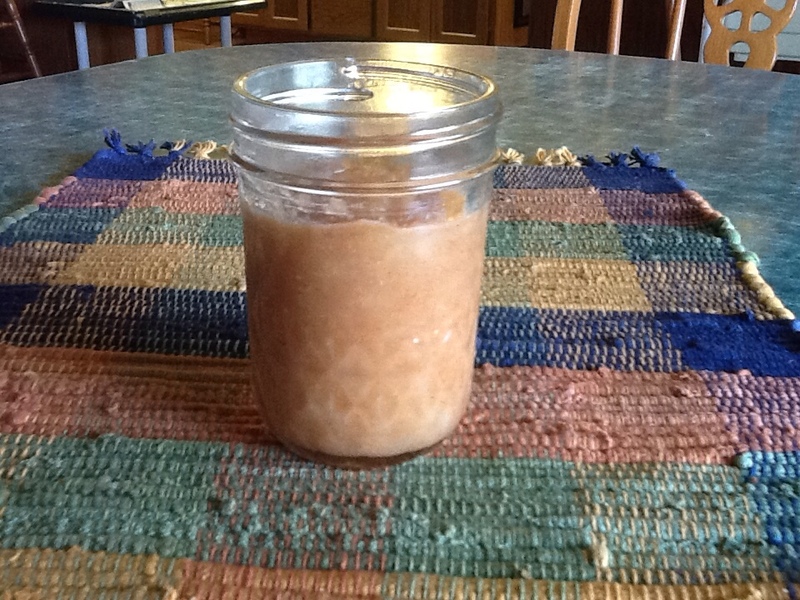 When pears have reduce to about half, spoon into a clean, glass 1-cup canning jar; refrigerate. Tomorrow, I make a batch of biscuits to give this butter it's perfect canvas! That's it! Simple, and simply delicious! Who knew overripe pears could taste this good . . . Over at Julie's!! !